The two-day Antiques and Contemporary Furnishing and Decorative Arts Sale will host more than 40 exhibitors from across the U.S. bringing in a broad spectrum of Craftsman-era and period-inspired works. Furniture, textiles, pottery, tiles, metal work, wallpaper, stencils, and books will entice both the novice and collector. All exhibitors are juried to provide the Craftsman Weekend the highest quality sources for antique and contemporary work in the style of the period. 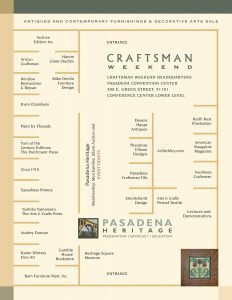 Also included will be the Pasadena Heritage membership and merchandise booth and the popular Silent Auction and Opportunity Drawings! Entrance to the exhibit hall will be free this year and held at the Pasadena Convention Center. 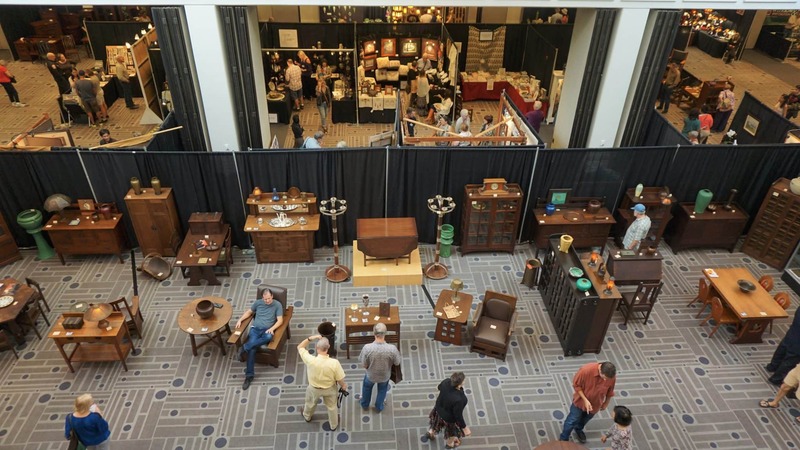 Please note that the entrance to the Craftsman Weekend Antique and Contemporary Furnishings and Decorative Arts Show is at the front of the Convention Center on Green Street closest to Euclid Avenue. Register on Eventbrite for a chance to win a free Craftsman Weekend t-shirt!